Looking back at my wedding one of the things that frustrates me most is how little time I got to spend with my best friends. Post-wedding I have found myself desperate to have a proper catch up with them to hear about their memories of my day and just have a gossip! So it's pretty lucky that The King's Lodge Inn in Durham invited me, Sam and Katie to stay last weekend. We were so excited to have time for a proper catch up and where better than in Durham, one of my favourite places in the North East. Durham is only 10 minutes away from Central Station in Newcastle so Sam and I decided to leave our cars at home and travel by train. The King's Lodge Inn was a nice easy walk from the station and despite our limited map reading skills we found it really easily. Hidden away at the end of a residential street, King's Lodge looked really beautiful in the Autumn sunshine surrounded by colourful flowers. I've made a little mental note to myself to return in the Summer to enjoy a few glasses of wine outside. The first thing I noticed when we walked into the bar to check in was how cosy and warm the pub was. I loved how inviting the Kings Lodge Inn was. 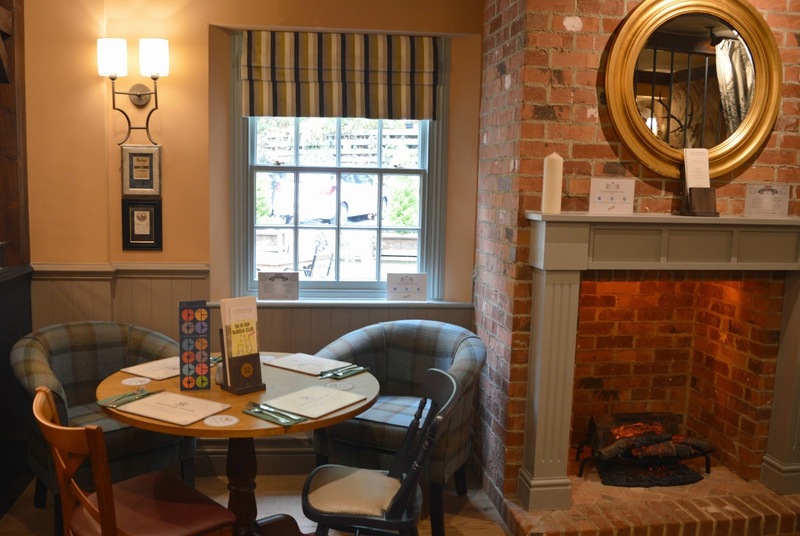 Perfect for an Autumn evening, the warm lights and tartan furniture gives the pub such a lovely country pub glow. I can only imagine how amazing it must look at Christmas. 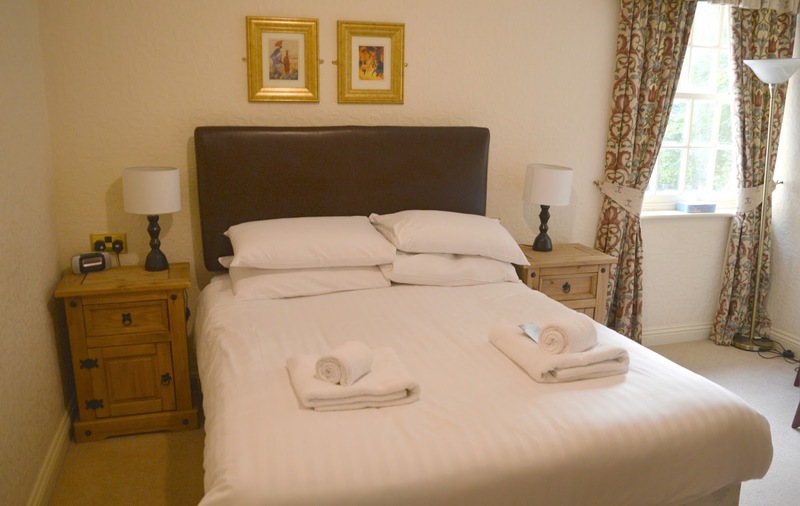 The King's Lodge has 23 newly refurbished rooms available from a very reasonable £95.00 per night. 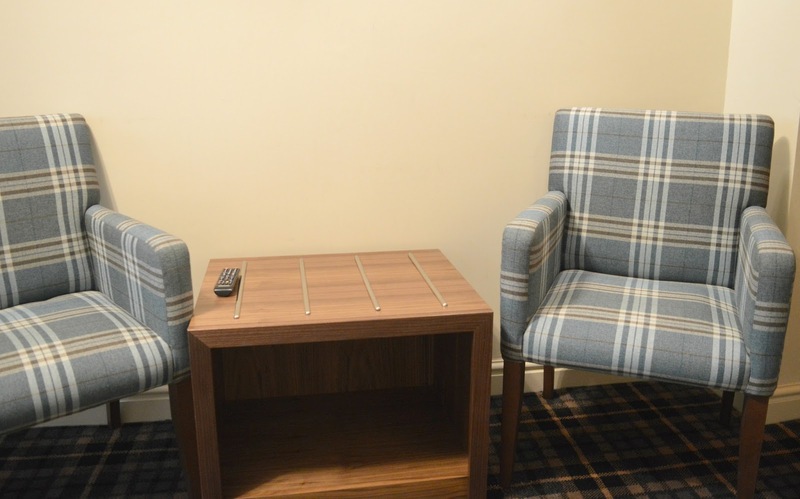 All of the rooms at the King's Lodge Inn have free wifi, Freeview TV and tea and coffee making facilities (complete with my favourite Ringtons biscuits!) and includes a "Taste of Durham" Breakfast. If that wasn't enough there's also free parking, making the Kings Lodge Inn the perfect base to explore Durham. As there were three of us Sam and I shared a family room featuring two single beds and a pull out sofa bed. Our room was huge and so comfortable and even had a desk, no work for us on this trip though, we settled ourselves at our little table and spent hours of the afternoon chatting over cups of Ringtons tea - bliss! Katie was booked into a double room which was my favourite of the two. Its beautiful country style made me reach for my phone to take a photo for Instagram. If I were ever lucky enough to own a house in the country, this is exactly how I'd decorate the bedrooms. With the centre of Durham only a short walk away we had initially planned to head into Durham to experience some of the local night life but the warm and friendly atmosphere at the King's Lodge Inn was just too good to resist so we decided to spend our night there instead. Catching up with friends in a lovely country pub really is the best! Of course we can't go anywhere without wanting to try all of the food on offer so we booked ourselves a table for a late three course dinner. 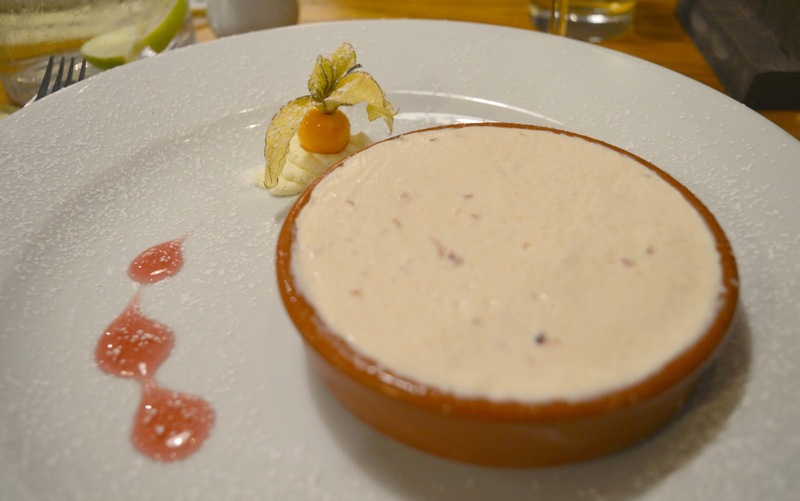 The food at Kings Lodge Inn is traditional pub grub with plenty of options for each course - just what I like! Their recently launched Winter Menu is just what you need for a night snuggled up with your nearest and dearest. 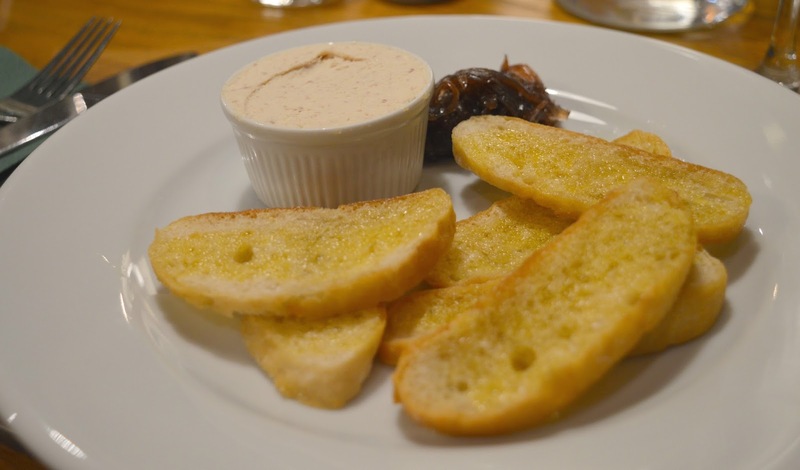 I decided to start my meal with the Homemade Pate (£5.25) served with cranberry and caramelised onion chutney and toasted bread. Such a generous portion, it made me wonder how huge the main course was going to be. 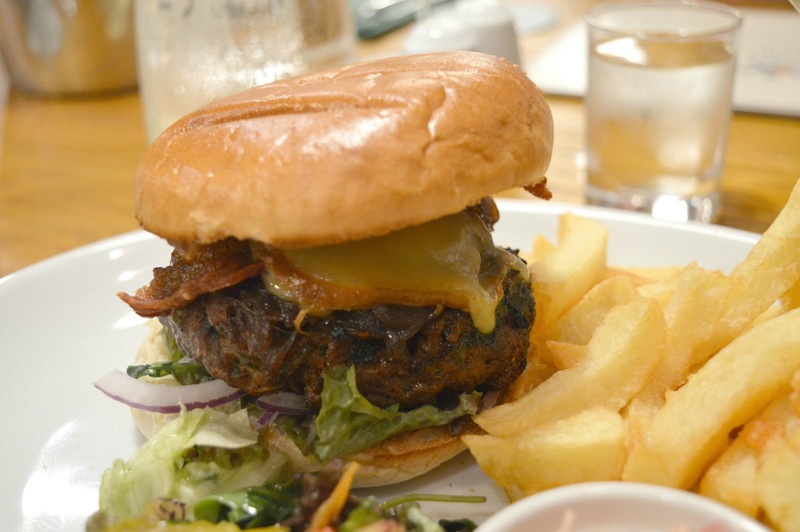 Embracing my new love for burgers (which I completely blame my husband for), I couldn't resist ordering the King's Lodge Burger topped with red onion marmalade, streaky bacon and cheese (£10.95) for my main. This burger wasn't for the amateur and even I was slightly shocked at how large my meal was when it arrived in front of me. I attacked it like a pro and managed to devour the whole lot. It took me forever to finish (that may have been partly to do with the amount I was chatting) and I really enjoyed every mouthful. For dessert I opted for the Homemade Cheesecake of the Day (£5.95). This was my only disappointment of the evening. The ratio of cream cheese to biscuit base was way off and I found myself having to dig through a mountain of cream to get to the base - it was far too rich even for a dessert addict like me. After our meal we decided to take our drinks into the bar as the cosy corners were just too good to resist. 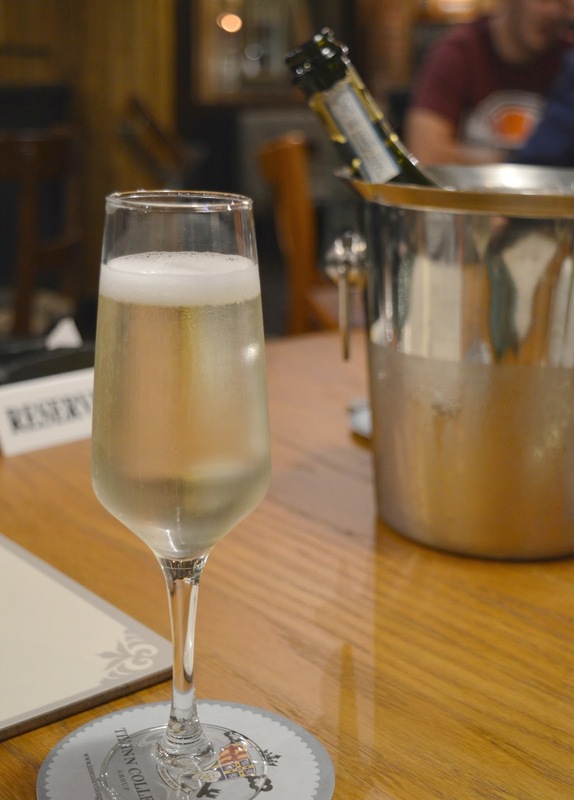 We ended our night with plenty of gossip and giggles, putting the world to rights over glasses of Prosecco. We all agreed we'd slept really well when we met the following morning and were looking forward to attacking the breakfast. The King's Lodge breakfast is served from 7:30 am to 10:30 am and as well as selecting food from the hot menu there's also a continental buffet to help yourself from. I was a little disappointed there weren't any croissants on offer, I actually went on a hunt for them and was gutted that the bread basket I found only had bread in it. The Coco Pops almost made up for it though and Katie and I both had a bowl - they always remind me of being a kid. 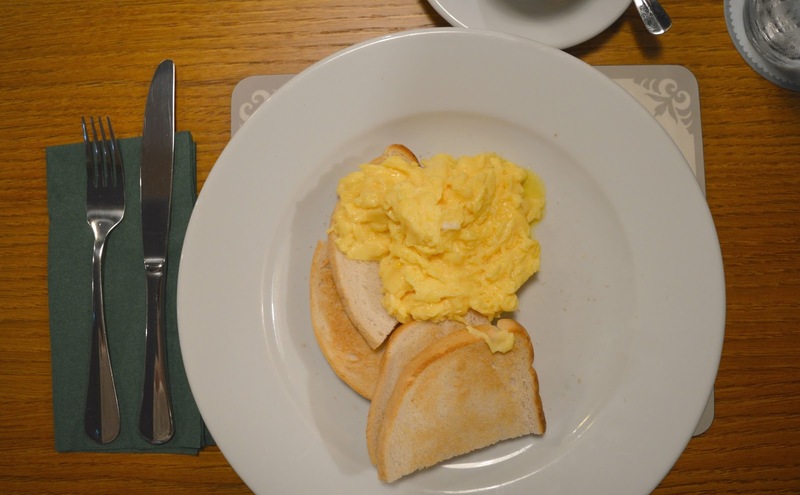 Feeling a little full from the night before there was no room in my tummy for a full fry up so I decided to order the scrambled eggs on toast. The restaurant was pretty busy as we'd come down at peak breakfast time so the food took a little while to reach us but we weren't too bothered as we happily chatted about our plans for the day. Our stay at the King's Lodge was over but with the tempting idea of exploring Durham a bit more I can definitely see myself returning with Simon soon. 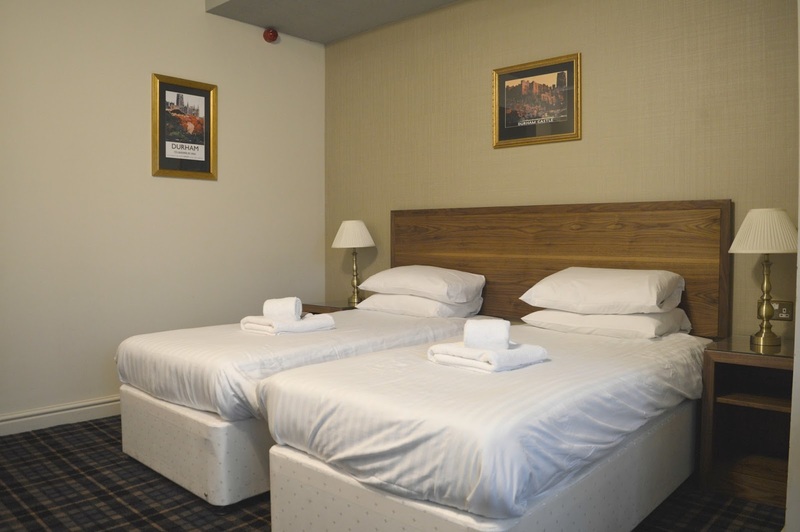 If you're looking for a hotel in the centre of Durham that offers brilliant value for money in a cosy environment then I really would recommend the King's Lodge. 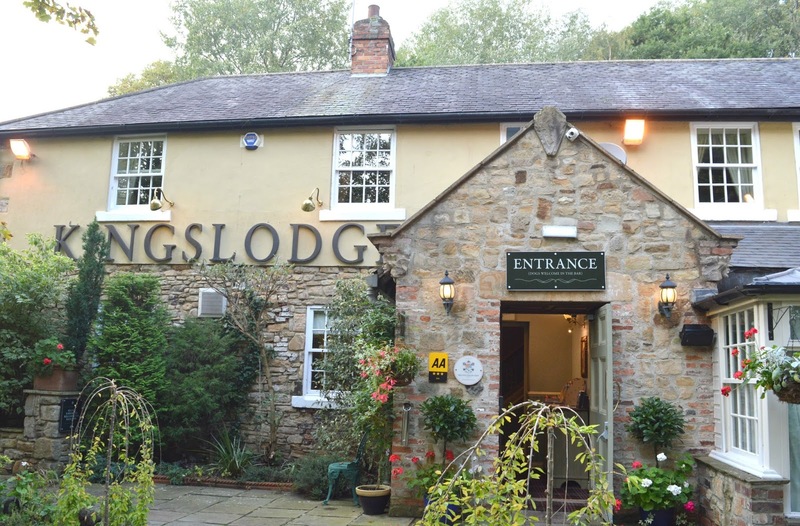 King's Lodge are part of the Inn Collection Group who have a gorgeous collection of inns throughout the North East including the picture perfect Bamburgh and the foot of Roseberry Topping. Simon and I are actually heading to the Hog's Head Inn in Alnwick in a few weeks time for a wedding and after my stay at the King's Lodge I can't wait! We received a complimentary dinner, bed and breakfast at the King's Lodge Inn. All opinions and words are my own. I'd probably just been too greedy and filled myself up too much on the burger! HA! Sounds like a lovely little girlie getaway - I'd love to do the same with my girlfriends! That food looks so amazing!